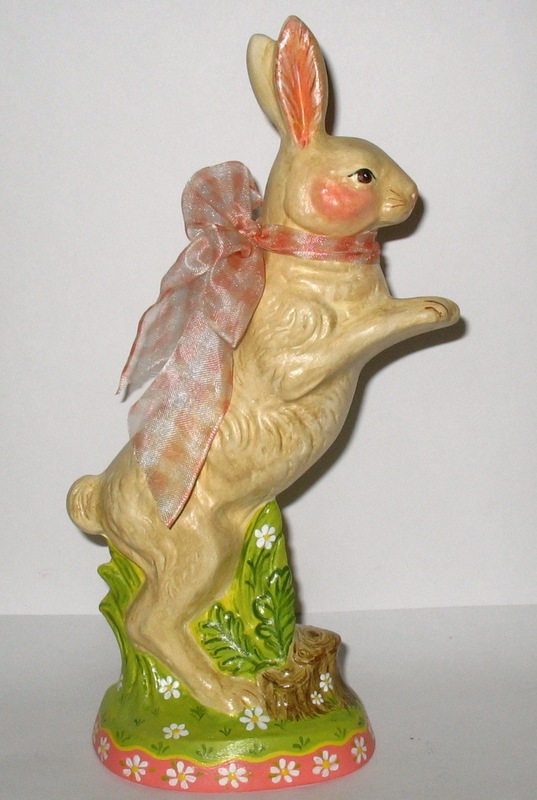 Jumping Jack Rabbit is ready to leap right over Mr. McGregor's garden into a special place in your home. 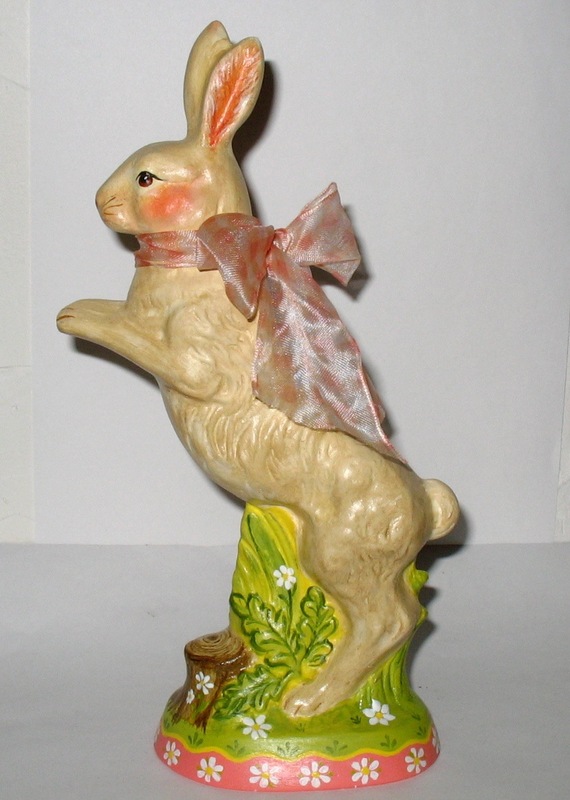 He was cast in chalkware using a wonderful highly detailed and rare antique German chocolate mold, hand painted antiqued and glazed to reflect an aged patina. 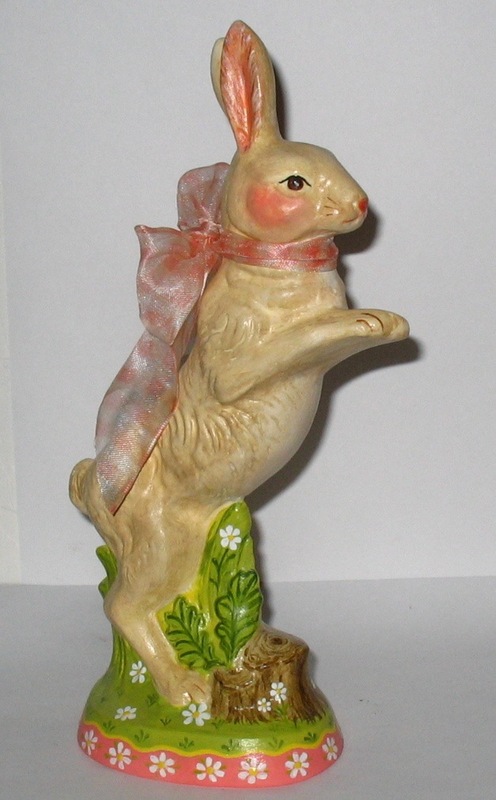 This charming figure, measuring 9 and 1/2 inches, is marked #1, signed "Bittersweet House Folk Art, K. Campbell, 2009, Sherborn, MA".